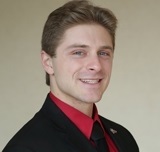 Derek Fiorenza received his bachelors of arts in 2008 as a graduate of Villanova University in Communication, and in 2010 he received his Master’s of Science in Business Administration from California University of Pennsylvania. While obtaining his Master’s degree, Derek punted for the football team, and was named to the All Region, and All Conference teams 3 years in a row. Derek has been working in the securities industry since 2011, and is responsible for Business Development, Client Retention, and Internal Operations at Summit Group Retirement Planners, Inc. In 2013, Derek co-founded the Registered Investment Advisory firm Summit Group Retirement Planners, Inc. with his father Anthony Fiorenza. Derek serves as Vice President and COO/CCO of Summit Group Retirement Planners, Inc. Summit Group Retirement Planners, Inc. focuses on servicing qualified and non-qualified retirement plans as well as supporting the wealth management needs of individuals. Derek also serves as the President and CEO of the non-profit organization, Fiorenza’s Food For Friends (F4). F4 collects non-perishable food items and distributes those items to local food banks in need at no cost. Additionally, F4 rescues perishable meals from restaurants, and delivers those meals to homeless shelters in need at no cost. Their website is: www.f4service.org and their facebook page is: www.facebook.com/f4service. Derek has earned the AIF® Designation and is part of Retirement Partners Group - RPG, a network associated with LPL Financial.